Stephen Sieh (SS): We are a financial advisory firm focused on three business verticals: investment banking, asset management, and strategic partnerships. We see a wide variety of very attractive opportunities in the ASEAN region. Under our investment banking group, we are advising companies that are pursuing merger and acquisition opportunities in the region, raising capital for growth and/or undergoing a fundamental transformation in their businesses. We have advised in more than ten different industries, and currently we are particularly active in the real estate, healthcare, consumer and business services. On the asset management side, we invest in promising entrepreneurial ventures that address market needs primarily via technology. Under our strategic partnerships, we have a number of joint ventures with mature, reputable ASEAN companies participating in the renewable energy and financial technology space. The operational challenges that we experience, for the most part, revolve around the amount of resources we need to deploy to achieve successful executions in a timely manner. Some of those challenges are brought about by the regulatory environment that we operate under. Another critical operational component for us is acquiring top talent that matches our firm’s culture of integrity and excellence. In our strategic partnership business, one of the key challenges for our biofuels trading platform has been logistics. Do you consider the Philippines as being competitive within the ASEAN region in terms of the investment climate and the ease of doing business? What do you think could the government do to improve the business environment and what could Primeiro Partners do for its clients? SS: Relative to all countries part of the ASEAN, I would rank The Philippines as being somewhat in the middle. We are certainly not as ‘plug and play’ as Singapore, but certainly not as difficult to do business in as some other ASEAN participants. One aspect that I believe makes pursuing and developing business in the Philippines extremely compelling is the fact that it has the largest English speaking population of the ASEAN member states, by far. The government’s platform is “build, build, build.” In line with that slogan, if the government can build a vision, build the infrastructure to implement that vision, and build the previous two with long term consistency we will be vastly more competitive. From a business perspective, stability and predictability is so important, it is the basis for trust, and trust brings investment. Primeiro Partners provides leadership, credibility, and commitment to clients. To every engagement, investment or partnership, we bring a unique combination of global know-how, strategic, financial and operational experience, and an unmatched network of relationships built on trust. What is your opinion with regard to the direction of the banking sector? What are the strategies that help the sector grow and how is Primeiro supporting this? Lastly, how important is it going to be to maintain the growth of the Philippines? Lorenzo Tan (LT): We have a crowded banking industry in the Philippines. There is still a lot of room for consolidation to promote stronger balance sheets, cost efficiency and improved customer service. We are in a position to advice foreign or local investors who wish to acquire or consolidate their banking interests in the Philippines. The Central Bank has been advocating financial inclusion to the various banks and the population. However, only a few universal banks have entered this field. RCBC became the first to be part of this advocacy followed by BPI and BDO. I heard the rest are also following. Similarly, the Japanese banks are accustomed to the distribution of wealth. Thus, they are big in wholesale banking and good at consumer and private banking, but are not familiar with products for the C and D market. The distribution of wealth in the Philippines resemble a pyramid where the C and D markets each involve approximately 40 million Filipinos. So, there is a huge portion of the population who eats almost once a day. The challenge now is how to teach these people to save money over time. Without a doubt, this can be done and the people can be taught. When I was president of PNB, the average deposit was three thousand pesos per account and we were able to bring it up to fifteen thousand pesos per account by giving them incentives to save. We created products that do not incur penalties if you do not have money. For the longest time, depositors have to pay a penalty if their balance falls below USD 200 a month. To encourage savings among the people, PNB created products for people who may have zero balance at a certain point in a month. It is evolving, and it is good for the Japanese banks to enter the Philippines, collaborate with the local banks in creating products for the C and D market, and successfully enter the ASEAN region. So, from 105 million people, the Japanese can grow their market to more than 630 million people in this regard. This opportunity gives Japan or other foreign investors the key to nine other countries in the region. Not to mention, going into business in the Philippines also give the investors the possibility of finding the talent adaptable enough to be sent to the other ASEAN countries. A positive phenomenon in the Philippines is that you can find a lot of Filipinos in the financial services sector with US, London, or Japan training who come back and foster some sort of knowledge transfer. In fact, most of the CEOs right now are changing and are becoming more global. From people in the sector beginning and ending their careers in the country to people beginning their career overseas and moving back to the Philippines—these reflect how the banks went through a competitive and cultural transformation. The skills are passed on to the younger individuals working in the sector. How important is it for Primeiro Partners to be recognized as a company that make investments to help social inclusiveness here in the Philippines? LT: A key aspect of our mission is to provide consumer and financial services for Micro and SME businesses which are often restricted in their growth due to the lack of capital and expertise. We have extensive experience in building products and services for the C and D market in the Philippines. What are the core values of Primeiro Partners? SS: Our core values are independence, integrity, and intellectual capital. We are not transaction driven, we are driven by creating long-term value to our clients. If the transaction does not make strategic sense or does not generate incremental value, we are not pressured to say so. Independence and integrity is at the very core of Primeiro. We believe that to provide objective advice, we remain completely un-conflicted and ensure that all client matters are treated with confidentiality. Thus, we do not trade our clients’ stocks, we do not write research about them, nor do we try to push any banking product. We want to make it clear that there is no another agenda other than our client’s best interest. In terms of financing, what do you think could be the opportunities in the electronic banking sector? LT: There are tremendous opportunities in the electronic banking sector. I always tell our staff not to look at our competitors and our past. Instead, I advise them to look at other industries and learn from them. Thus, we looked at Compartamos Banco and Banco Azteca in Mexico. We started the first microfinance bank of a Universal Bank in the Philippines with Compartamos as our role model. Meanwhile, Banco Azteca was a bank that started in an appliance store in Mexico. In this light, the Filipinos could adapt quickly if one can bring these banking models here. They told me before that the older Filipinos cannot be taught how to use the ATM. I said if you see them texting, which we do, you can teach them how to use the ATM. In this sense, we are able to change behaviour. There are indeed a lot of opportunities. In fact, we were able to grow the customers of my previous bank from 700 thousand to 7.3 million customers. The challenge is your operations or backroom must be scalable and nimble. One cannot sell the best burger in the world, and tell the customer to wait 30 minutes before it could be served. The backroom (“kitchen”) must be scalable, in order to have a standard when it comes to delivering one’s products. There are a lot of opportunities, but regulators must give you the space and opportunity to innovate. Finally, what are your expectations with regard to business for Primeiro Partners in the Philippines? LT: Primeiro Partners is in a fiduciary business. People deal with us because they trust us. We provide more than just capital. We are in the business of managing risks and providing opportunities. We would like to see our clients transform over time from Micro to SME, SME to big corporates, from corporates to conglomerates, while enriching the lives of their employees, customers and their communities. SS: Lorenzo and I worked the majority of our careers for financial institutions with very high world-class standards. Our approach is to continue to grow Primeiro with such standards, and be the leading firm that corporates and investors alike welcome partnering with for advice, capital, and execution. The Philippines is an enormously promising country, we see so many opportunities here on a daily basis. We are very excited for what is ahead. Under the JV, ET Energy and Vivant Corporation, through its wholly-owned subsidiary Vivant Renewable Energy Corporation (VREC), will complement and expand their respective expertise in technology, project development, operations, power generation and retail electricity supply. Furthermore, EVC will be dedicated to providing turn-key solutions through Power Purchase Agreements (PPAs), covering every step of a solar plant's life cycle, helping businesses secure savings on electricity payments and insulating them against price surges for over 20 years. "ET Energy firmly believes that clean energy is the future. That's why we are dedicated to providing green electricity for customers all over the globe," said Dennis She, President and CEO of ET Energy. "Our global experience in project development and operations is a perfect match with Vivant's energy delivery experience. We are ideal partners to help Filipino businesses get their own solar rooftop power plants through customized PPAs." EVC aims to develop solar power plants that provide lower electricity rates directly to the end-user. For commercial and industrial sites across the Philippines, the investment in solar provides a tailored, cheaper and better alternative to regular utility power sources. Arlo G. Sarmiento, COO of Vivant Corporation, said, "The Vivant group of companies has made a mark with our breadth of offers, being one of the few Filipino companies with investments in distribution, generation and retail in the energy sector, which includes renewable, traditional and off-grid power projects. Our partnership with ET Energy allows us to add a new option to the solutions we offer our customers, partners and communities, allowing us to be more adaptable to the changing needs in the market." VREC holds the renewable energy portfolio of Vivant Corporation, a publicly-listed company listed on the Philippine Stock Exchange. Vivant is an electricity stalwart with investments that have been providing reliable and steady power solutions in Philippine communities for close to a century. It has investments in power generation, distribution and retail of both renewable and traditional energy sources. To learn more about the Vivant group of companies, please visit http://www.vivant.com.ph. 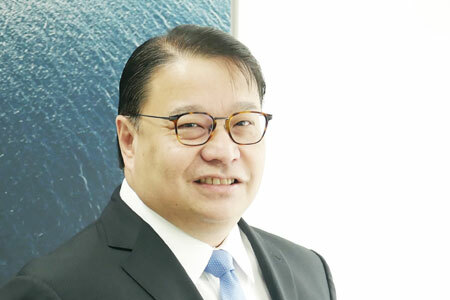 Former Rizal Commercial Banking Corp. (RCBC) president and CEO Lorenzo Tan has joined leading Manila-based advisory firm Primeiro Partners as board advisor. “Their reputation for excellence and intense focus on their clients and investment partners’ interests make it a privilege for me to do so. We are already working on a number of deals and ideas. 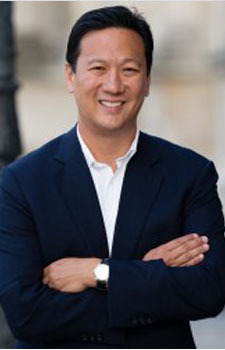 The goal is to further the momentum and success, and build an unparalleled financial advisory and investment firm based on deep relationships, knowledge, and excellence,” Tan said. “This is a profound step forward for Primeiro. There is no better industry leader and advisor more respected than Lorenzo. He epitomizes the values of achievement, integrity and wisdom, which are the core of our firm. I look forward to working closely with Lorenzo, as we continue to build Primeiro as the leading independent financial advisory and investment firm in the Philippines,” Primeiro managing partner Stephen Sieh said. Prior to his stint at RCBC, Tan served as Sun Life of Canada (Philippines) Inc. president and CEO. At 37, he became president of United Coconut Planters Bank and became the youngest president of a universal Bank in the Philippines when he was hired by the Philippine National Bank (PNB). The Columbia University School of International and Public Affairs (SIPA), together with the Columbia University Alumni Association of the Philippines (CAAPH), partnered with the Bangko Sentral ng Pilipinas (BSP) to co-host a forum that highlighted economic strengths of the Philippines and impact of a Trump presidency on economies, among other issues. BSP Governor Amando M. Tetangco, Jr. (5th from left) graced the event, which was held on December 8 at the BSP headquarters in Manila, as keynote speaker. Columbia University Professor Arvid Lukauskas (3rd from left) delivered the presentation on the impact of a Trump presidency, while SGV Founder and Columbia University alumnus Washington SyCip gave the closing remarks. The forum was part of the year-long celebration of the 70th Year of SIPA under the theme “Where the World Connects” and was meant to promote discourse on the domestic and global economies. Also in photo are other Columbia University alumni (L-R): Asian Development Bank Director General Toshio Oya (Law ’89), Net Group Co-President Ramon Rufino (GSAPP ’06), Primeiro Partners Managing Partner Stephen Sieh (CBS ’98), BSP Director Zeno Abenoja (SIPA ’09), and BSP Director Pia Roman Tayag (SIPA ’00). During the forum, Professor Lukauskas took the opportunity to talk about SIPA’s Economic Policy Management program, including its concentration on central banking and financial markets. 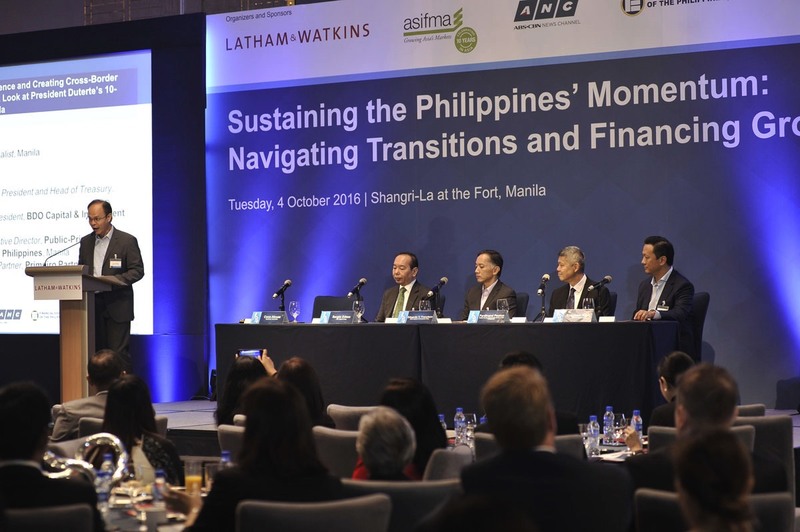 Primeiro Partners Managing Partner, Stephen Sieh, shares his views in Latham & Watkins' Third Annual Investment Conference in the Shangri-La at the Fort. The panel discussion focused on the topic of maintaining investor confidence and creating cross-border opportunities relating to Duterte's 10-Point Socioeconomic Agenda. 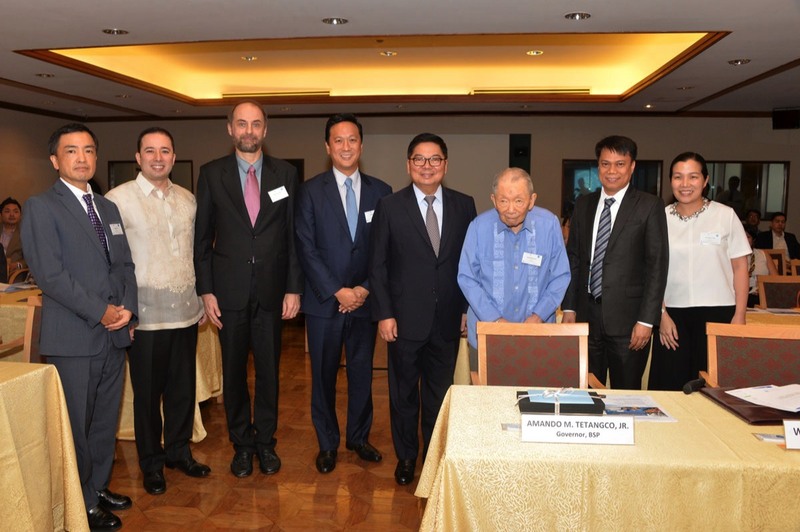 In the photo, from left to right: Coco Alcuaz (Business Journalist), Sergio Edeza (Senior Vice President and Head of Treasury- San Miguel Corp.), Eduardo Francisco (President - BDO Capital), Ferdinand Pecson (Executive Director - PPP Center of Philippines), and Stephen Sieh (Managing Partner - Primeiro Partners). 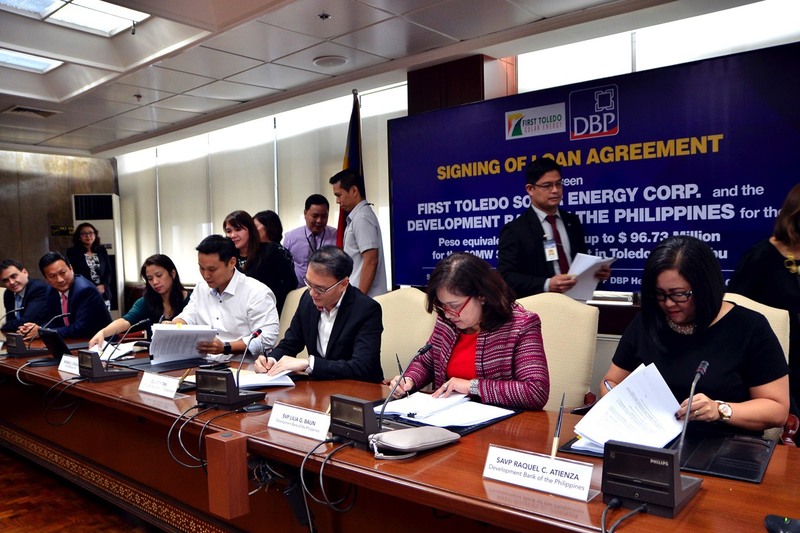 The Development Bank of the Philippines (DBP) has granted a P4.375-billion loan to First Toledo Solar Energy Corp. to partially finance the construction of a 60-megawatt (MW) solar-power plant in Toledo City, Cebu. The project is currently the largest solar farm the DBP has financed, and is also the largest solar-power plant in Cebu Island. The grant of the 15-year term loan facility is in line with DBP’s thrust to help the country achieve energy independence through the development of renewable-energy resources. The project will augment the energy supply in the Visayas grid by 48.96 MW. It is expected to have a multiplier effect on the local economy by stimulating business activities and, ultimately, improve the living condition of the residents of Cebu province. Located at Barangay Talavera, Toledo City in Cebu, the project will replace more than 157,000 barrels of crude oil equivalent per year from alternative thermal plants during operations. It is also expected to reduce about 38,000 tons of carbon- dioxide emissions. The project is intended to qualify for the Feed-in-Tariff Program and is already dispatching power to the Wholesale Electricity Spot Market. CITICORE Power, a renewable energy (RE) company, expects to be awarded the feed-in-tariff (FIT) incentive for its 18-megawatt (MW) solar power project in Mariveles, Bataan which was inaugurated on Monday. Citicore said it has submitted all the documentary requirements for FIT eligibility and that the power facility will operate and inject power to the Luzon grid before the FIT deadline, which is on March 15, 2016. “We are optimistic both our Bataan and Silay solar power plants will be awarded the FIT renewable energy incentive by the government. We have been coordinating non-stop with officials from the Department of Energy, Energy Regulatory Commission, National Grid Corp. of the Philippines and the Philippine Electricity Market Corp,” Citicore Power executive vice-president Manolo Candelaria said. The unveiling of Citicore Power’s Bataan solar power station comes barely a week after the inauguration of its 25-MW solar facility in Silay, Negros Occidental. The plant is expected to help avoid 13,000 metric tons of carbon emissions per year – equivalent to planting 600,000 trees over the life of the facility. 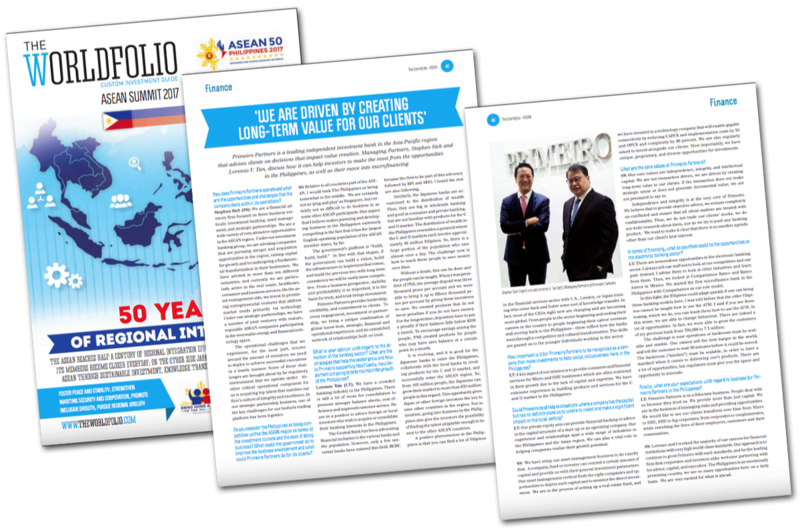 Project funding was secured through Land Bank of the Philippines with Primeiro Partners as financial consultants. Located at the Freeport Area of Bataan (FAB) in Barangay Alasasin, Mariveles , the power plant spans 37 hectares and was under project company Next Generation Power Technology Corp. (NGPTC). The facility is made up of over 68,500 photovoltaic (PV) modules and is expected to power 22,000 homes connected to the Luzon grid. Construction was started in October 2015 by Megawide Construction Corp.
“The almost-simultaneous completion of these two power plants shows that Citicore Power is aggressive and serious in completing its renewable energy portfolio. We are committed to providing energy to the Filipino people with little or no impact to the environment,” Candelaria said. “Our vision is to become one of Southeast Asia’s leading renewable energy companies by 2020,” he added. The inauguration of the Bataan solar power plant, the first in the province, was attended by executives of the local government led by Bataan Governor Albert Garcia and Mariveles Mayor Jesse Concepcion, officials of the Authority of the Freeport Area of Bataan (AFAB), Department of Energy representatives, and officers of the National Grid Corporation of the Philippines. Bataan Province officials and AFAB executives welcomed the new plant, saying the Citicore-led project created almost 300 jobs for residents in the area. “We are very proud to have this facility in our province as it is a testament to what Bataan can offer investors. We hope that this is the beginning of an influx of the same green investments and the province is proud to partner with companies like Citicore Power,” Governor Garcia said. 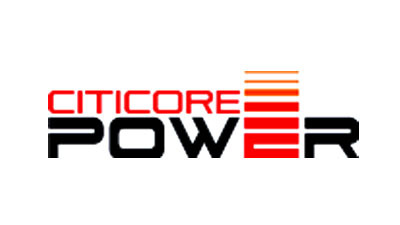 Citicore Power is a renewable energy company committed to providing power while reducing greenhouse gas emissions through solar, wind, hydro, and biomass projects across the Philippines. Century City Development Corporation (CCDC), a subsidiary of Century Properties Group, Inc. (CPGI) and Mitsubishi Corporation (Mitsubishi), one of Japan’s oldest leading conglomerates, have signed a joint venture agreement to develop the world’s first Forbes Media Tower, a 35-storey office building that will soon rise at Century City, Makati, Philippines. Under the agreement, both parties will develop, lease out and maintain Forbes Media Tower through Century City Development II Corporation (CCDCII), of which CCDC and Mitsubishi have 60% and 40% ownership, respectively. CCDCII shall finance the projected Php4.5 billion total project cost through Php 2.3 billion of equity from CCDC and Mitsubishi, and a ten year Php2.2 billion senior loan granted by the Bank of Philippine Islands. BPI has approved the loan on the basis of the project’s strong financial viability amidst the rapidly growing office space sector and its confidence in the combined strength and experience of Century and Mitsubishi. Primeiro Partners advised on the structuring of the financing, and acted as the exclusive financial adviser to the joint-venture partnership transaction. “We are privileged to partner with Mitsubishi Corporation, one of Japan’s most respected business conglomerates, in developing Forbes Media Tower. We are grateful for their trust and confidence, as these are testament to our sound business strategy of developing projects with determined demand. Forbes Media Tower will be a stellar addition to the office market in our country’s premiere financial district,” said CPGI Chairman and President Jose E.B. Antonio. “Mitsubishi has invested in two Philippines real estate development projects, one for industrial park and another for residence. This one will be the third development project and the first office development. Mitsubishi executes real estate development projects in Japan, China, United States, and the countries in South East Asia Region. Among all countries, Mitsubishi believes Philippines has the promising market due to its’ continuous high economic growth. We hope to continue and further strengthen our partnership with CPGI to expand real estate investment business in the Philippines” said Mitsubishi Senior Vice President Nobuya Ichiki. Forbes Media Tower is scheduled for completion in 2019. It will have a total gross floor area with parking of approximately 95,000 square meters. Net leasable area will be over 50,000 square meters. As the world’s first Forbes-branded commercial building, it is designed to serve the world’s business leaders by providing an environment to conduct business with premium amenities. 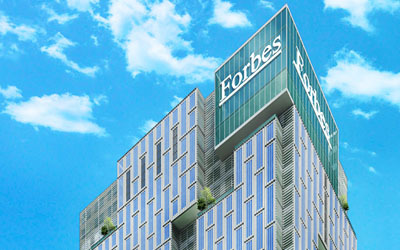 Forbes Media Tower is the last parcel of land to be developed within Century City, the 3.4 hectare integrated mixed-use complex of premium residential high-rises such as the Gramercy, Knightsbridge, Milano Residences, Trump Tower, and Century Spire, the lifestyle center Century City Mall, and the outpatient medical center Centuria Medical Makati. Century Properties’ commercial portfolio will total over 190,000 square meters within the next four years. This includes the five-level and 50,000-square meter Century City Mall and the 28-storey Centuria, which has both for sale and for lease medical IT units. Forbes Media Tower is one of the three Class A commercial buildings that Century expects to add to its portfolio by 2019. 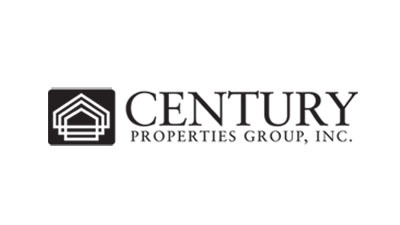 Listed property developer Century Properties Group, Inc. (CPG:PM) (“Century Properties”) today announced the completion of its maiden retail bond offering. The Company raised P2.7 billion in fresh funds that will be used to partly finance capital expenditures for select residential and commercial projects with completion dates ranging from 2017 to 2019, which in aggregate will total over 3,400 residential units and over 300,000 square meters of gross floor area. The Company initially targeted to raise P2.0 billion, and due to strong demand, exercised its oversubscription allowance to raise a total of P2.7 billion. The unsecured fixed rate peso bonds were offered in 3-year, 5-year, and 7-year tranches with interest rates of 6.0000% p.a., 6.6878% p.a., and 6.9758% p.a., respectively. “We are grateful for the success of our maiden bond issuance and the confidence accorded to us by the investing public. This is a testament to the Company’s sound financial management and profitable business model,” said Mr. Jose E.B. Antonio, Chairman of Century Properties. “Not only will the bond enable us to diversify our funding sources, it also helps us get a step closer towards our goal of building a bigger and more diversified Company,” continued Mr. Antonio. Century Properties’ co-branding partnerships with Armani Casa and Studio Daniel Libeskind for the recently-launched luxury development Century Spire, Trump for Trump Tower, Paris Hilton for Azure, Versace Home for Milano and yoo inspired by Starck for Acqua, Forbes Media LLC to name a few, are bringing world class development standards to the Philippine skyline. From its initial public listing in 2012, Century Properties projects to complete a total of 31 residential buildings by 2019. Its portfolio of launched projects is currently over 90% pre-sold. Century Properties’ commercial portfolio will total over 160,000 square meters within the next five years. It includes Century City Mall, a five-level, 50,000 square meters lifestyle center. It is the first mall to open in Makati City in the last decade. By the end of this year, the Company will turnover Centuria Medical Makati, a 28-storey outpatient medical building also in Century City, which has both for sale and for lease medical IT units. In addition, the Company expects to complete three Class A commercial buildings in prime locations with close to 90,000 square meters, thereby enabling Century Properties to be a significant participant in the growth of the office space sector in the Philippines by 2018. BDO Capital & Investment Corporation was the issue manager for the transaction, while BDO Capital & Investment Corporation and The Hongkong and Shanghai Banking Corporation Limited served as joint lead underwriters and bookrunners. Primeiro Partners was the financial adviser to the Company. Century Properties Group, Inc. (CPG) has secured funding for its mixed-use tower in Makati from an affiliate of one of the world’s largest private equity fund managers. Century City Development Corporation, a wholly-owned subsidiary of CPG, signed a US$30 million Secured Facility Agreement with Golden First Century Pte Ltd., a company affiliated with Phoenix Property Investors. CPG is Phoenix Property Investors’ first partner in the Philippines. Phoenix is one of the world’s largest private equity real estate fund managers with approximately US$4.7 billion of assets managed and/or under management. Phoenix invests on behalf of some of the world’s leading institutional investors, and its portfolio consists mainly of multi-residential developments and retail and office properties in key gateway cities across Asia. 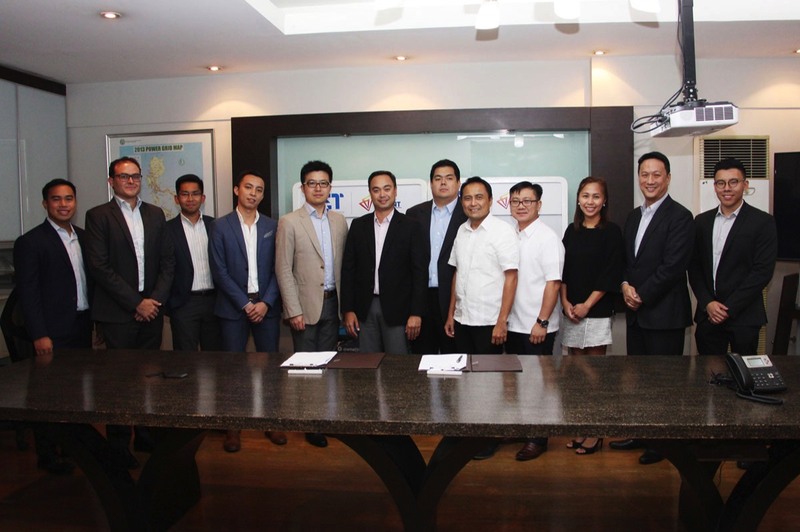 Proceeds from the facility will be used to partly finance the development of Century Spire located in CPG’s vertical mixed-use community Century City in Makati City. Primeiro Partners’ client Century Properties, recently won the 2014 The Asset Triple A Transaction – Treasury, Trade & Risk Management Awards for having the Best Structured Trade Finance Solution in the Philippines. 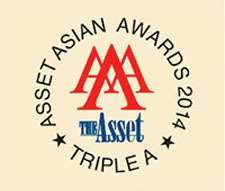 Century Properties is the sole winner of the said award category and only one of three Philippine companies to be honored in the 2014 regional awards, which seek to identify corporations and banking institutions that have implemented the most effective and innovative treasury, cash management capital and trade finance and risk management solutions in Asia. The Asset Publishing and Research Ltd. Is a multimedia company geared towards the elite community of leading corporate and financial decision makers in Asia. Q: How do you find the companies? Primeiro Partners is pleased to announce the successful completion of a capital raising mandate for Century Properties Group (CPG or the “Company”), a dual-currency secured credit facility of up to PHP4.2 billion (approximately US$100 million). Century Properties Group is a leading real estate developer in the Philippines with a market capitalization of approximately US$400 million. This credit facility, announced earlier this month, is CPG’s maiden syndicated loan facility and is also its largest capital markets transaction to date. 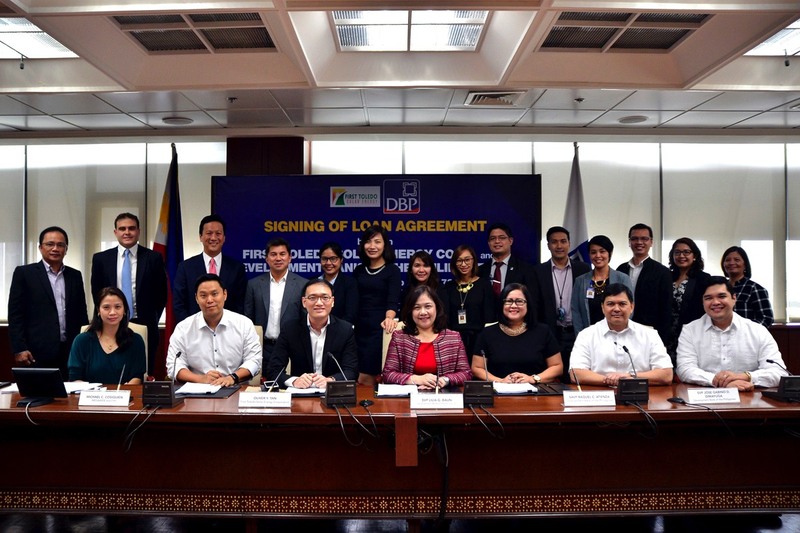 The financing is uniquely structured; it is the first multi-asset, multi-draw syndicated credit facility for a Philippine real estate development company. The transaction elevates CPG’s financial profile by providing long term financing for several of its upcoming projects, allowing the Company to use its existing liquidity and significant portions of its future cash flows to pursue growth and other shareholder value enhancing opportunities. Primeiro Partners was the sole financial advisor to CPG. An excerpt of CPG’s disclosure of the transaction to the SEC is appended below. In compliance to the rules and regulations for publicly listed corporations, Century Properties Group Inc. (CPGI or the “Company”) would like to inform the Honorable Exchange and the Securities and Exchange Commission that on June 10, 2013 (date of transaction), CPGI closed a dual-currency secured term loan facility of up to PHP4,200 million pesos. The 5-year Facility was led by Mandated Lead Arranger and Book runner, Standard Chartered Bank. The proceeds from the transaction will be used to meet the construction costs, land cost, general expenditure and financing costs exclusive to seven (7) buildings located across three project developments of CPG. The Facility was targeted to both domestic and international banks and received commitments both in USD and PHP. Primeiro Partners was the financial advisor to CPG. With 27 years in the business of real estate development, marketing and property management CPG is the developer behind such prestigious projects as The Gramercy Residences and the Knightsbridge Residences at Century City, Trump Tower at Century City, the Milano Residences interior design by Versace Home, Acqua Livingstone interior design by MissoniHome; Acqua Iguazu yoo inspired by Starck; Centuria Medical Makati in partnership with GE Healthcare; and the Residences at Commonwealth by Century. CPG is currently selling and developing 27 projects totaling 1.3M sqm of GFA with over 14,000 units. The company is listed in the Philippine Stock Exchange under the ticker CPG. The Company fully undertakes that it shall furnish the Honorable Exchange all material documentation and filings for the aforementioned resolutions.